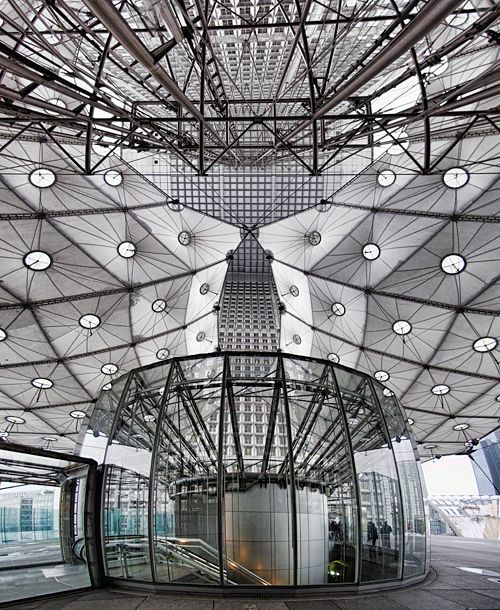 Kevin P. (Homepage) wrote: Great architectural composition ! ben (Homepage) wrote: nice symmetry and intersting view. Chris Franklin (Homepage) wrote: I love the way the lines seem to originate from two simmetrical spots at the top and bottom of the shot. Creates a great effect! Turnbill (Homepage) wrote: Wow - it's quite a busy world. Marcie (Homepage) wrote: What a wonderful composition. Love the monochromatic feel to this..the shapes and forms. To you and yours - all the best in the up and coming new year!